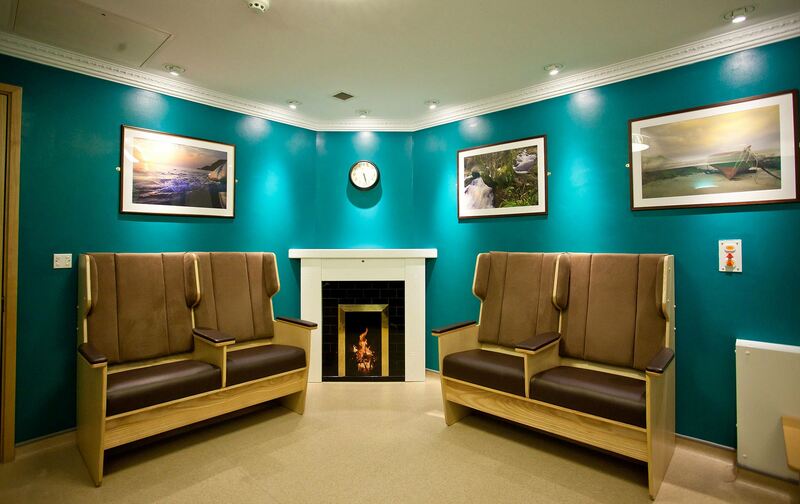 Re-design and refit of the living space within Cove Ward, a 25 bed assessment unit for older adults suffering from confusional disorders and memory problems of varying degrees. 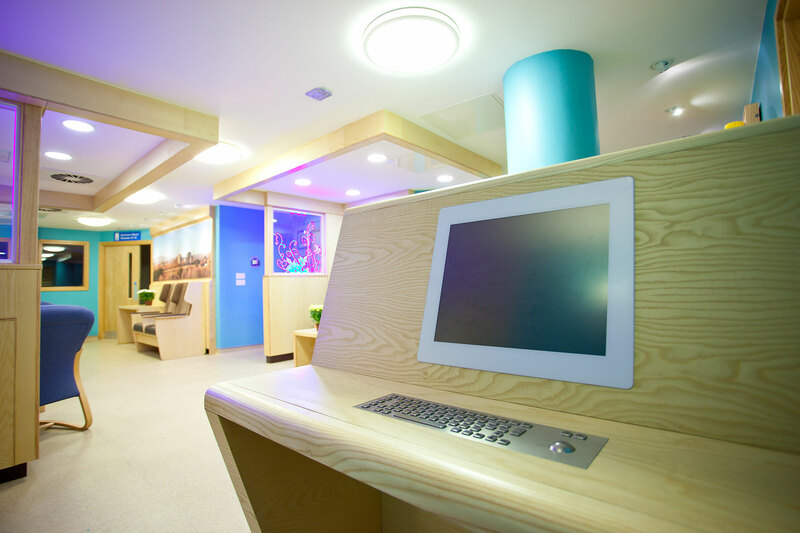 We aimed to design a home-like, easily navigable and relaxing living space that adhered to the operational standards of a hospital environment, whilst supporting the particular needs of dementia patients. Working collaboratively with the consultants, nurses, occupational therapists, hospital staff and patients, it became clear that the living area was not functioning as intended and the environment was actually causing patients to become unsettled. A lack of focal points and clearly defined seating areas meant patients often rearranged furniture and caused obstructions. The acoustics of the ward were poor, any disturbance easily travelled to other parts of the room instigating further anxiety elsewhere. 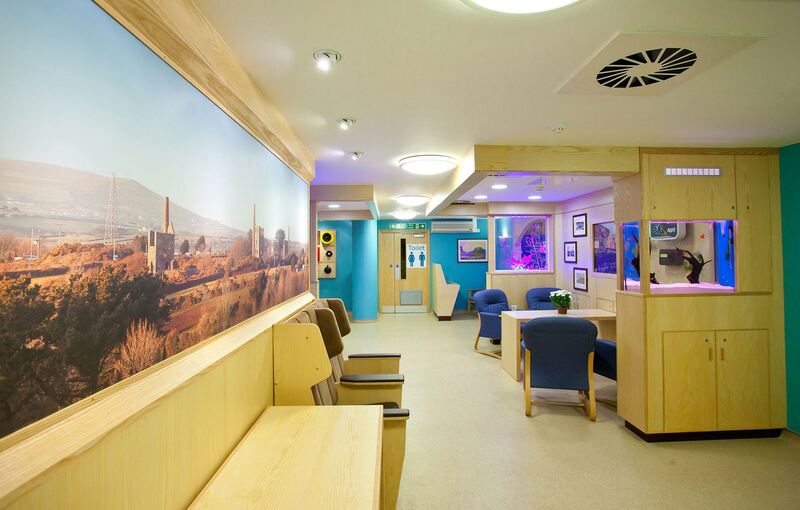 Lack of natural light, furniture and fittings that were not well suited to the visually impaired or infection control, all impacted on the usability of the space for both patients and staff. 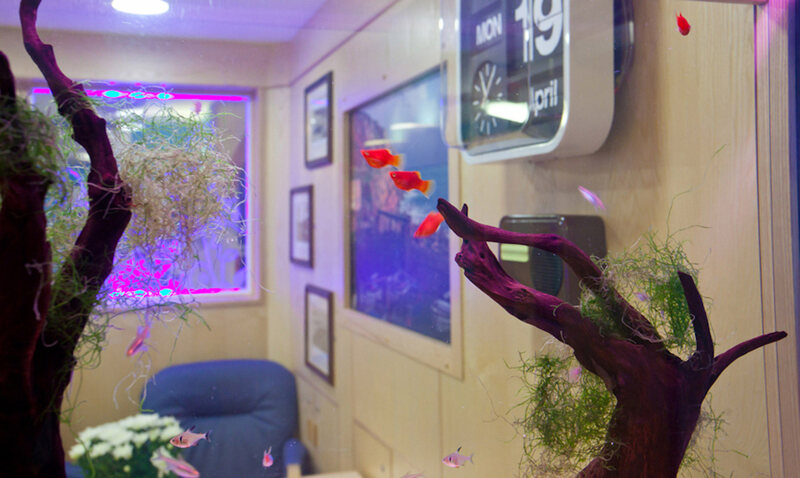 Our workshop process with clinicians drew out the need for a calming, logical environment that supported the users of the space in their day to day activities. Mapping pathways within the ward helped us identify both high traffic areas and under used spaces, providing user-centered insight to inform the new layout. Choosing naturally low traffic spaces we focused on defining seating areas, with timber framing and pelmets to improve acoustics. Precision joinery is complemented by the use of high quality ‘domestic feeling’ fabrics on furniture that both achieve good infection control standards, and offer a home-like experience. Seating is picked out in dark fabric to differentiate it from a new neutral floor covering, helping the visually impaired locate appropriate places to sit. 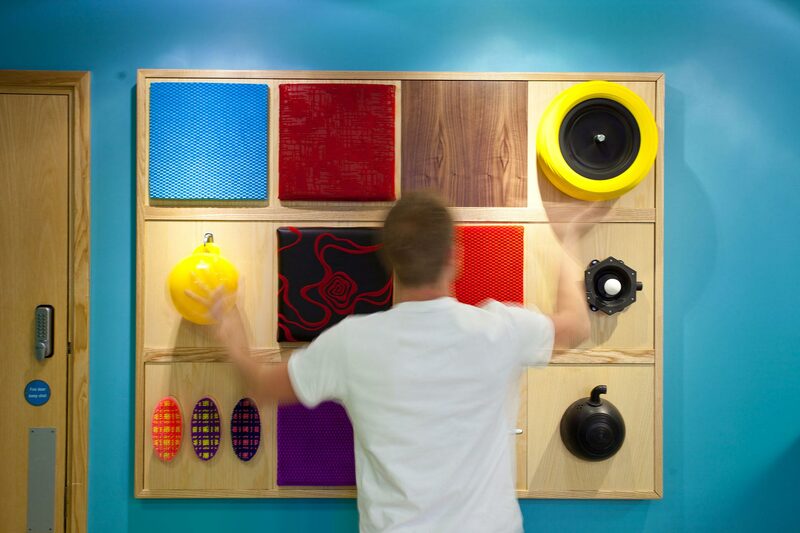 Similarly, teal walls help define pale wood doors and windows, supported by large wayfinding signs, to encourage patients to move about the space independently. Lighting is enhanced throughout the space, particularly in the social areas. 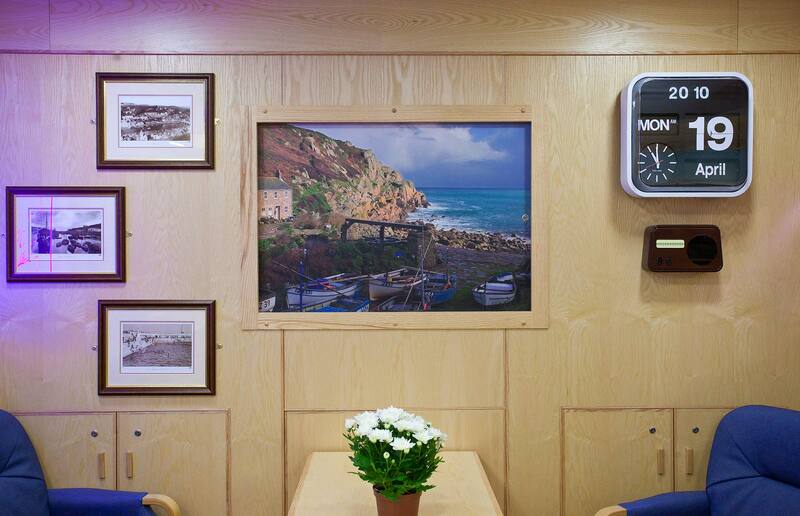 Large panels of local landscapes create calming scenes where the ward lacks natural daylight. The television, a natural focal point, has been placed behind a sliding panel so that if it becomes an unwelcome distraction it can be hidden out of sight. 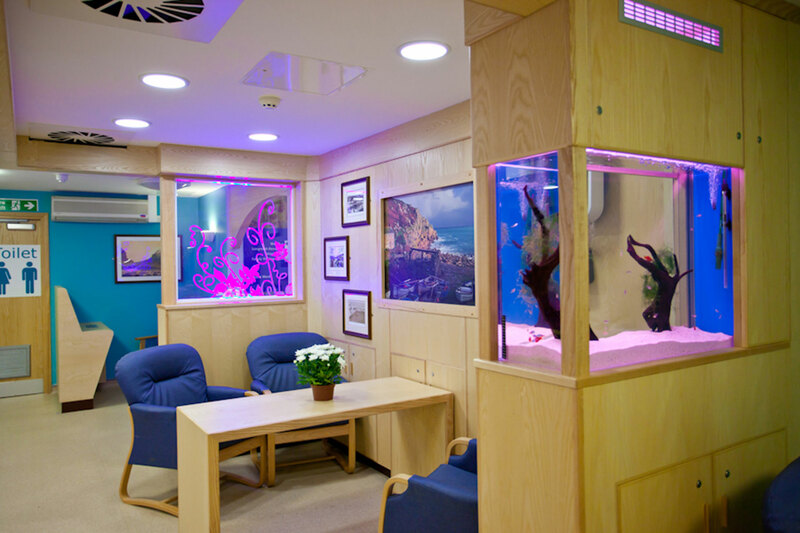 The installation of an acrylic fish tank and LED lit screen provides calming interest, whilst still offering clinicians clear line of sight across the ward. 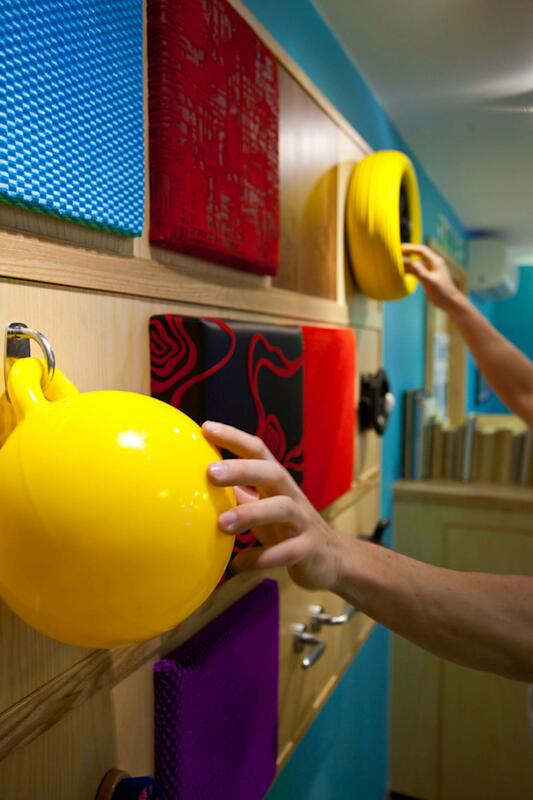 Finally, a sensory board with interchangeable panels offers patients, staff and families a point of interaction that can be customised to suit the interests of the patient. 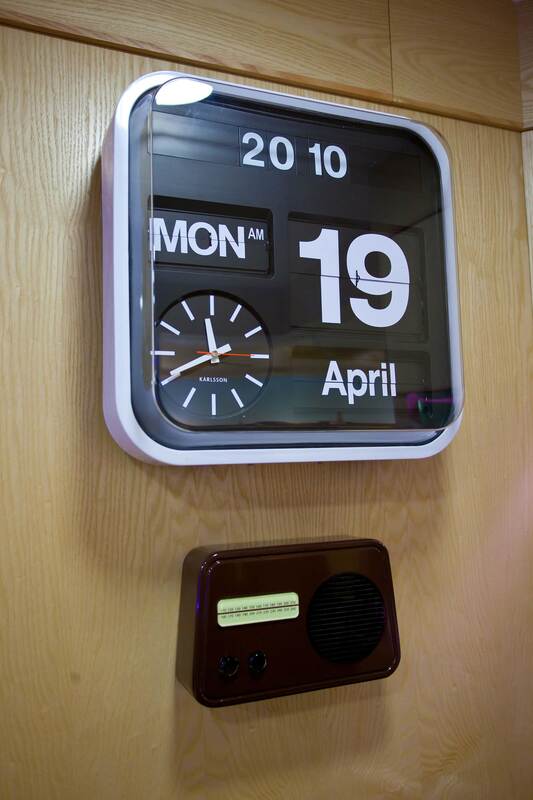 We believe we have created a harmonious and functional living/ward space, that encourages patients dealing with confusion and memory issues to be able to interact safely and independently with their environment, prompted by clear visual clues. The enhanced infection control provided by new fittings and flooring, and deliberately placed seating promotes operational efficiency. 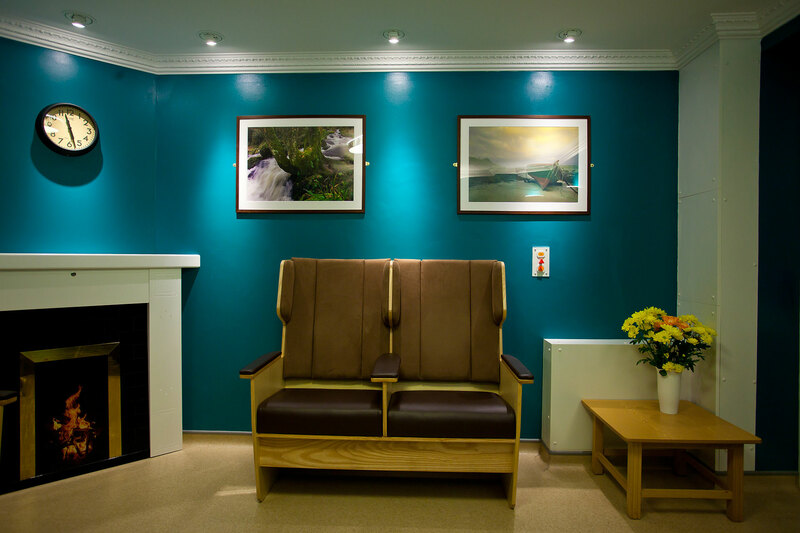 Anecdotally, the staff have reported a lower incidence of slips, trips and falls, in large part due to the furniture staying in situ and patients naturally locating themselves in the appropriate area.